"[Jack] Welch sincerely believed that all liberals were phonies. He took great pleasure in "buying their leftist souls", watching in satisfaction as former Democrats like Russert and MSNBC’s Chris Matthews eagerly discarded the baggage of their former progressive beliefs in exchange for cold hard GE cash. "(quote found via Mercury Rising). Being someone who follows the media, I knew that Welch had an influence on Russert's political views. I didn't realize he got his rocks off by buying the souls of people on the left. I seriously doubt that Welch reads this blog, but if he did, he might be sad to find out that Chris Matthews's media whoredom cherry had been popped a long time before he was supposedly corrupted by Welch. By the time Welch got to Matthews, Tweety's soul had been bought and paid for by Sun Myung Moon for a pittance. Sometimes I wonder which is worse: someone who never had principles (e.g., Karl Rove) or someone who once acted like a human being and then lost his way when the price was right. When I look at the Moon controversy, there are a number of people who initially took a principled stand against the anti-American megalomaniac but who changed their tune because either, 1) Moon dumped billions of dollars to help the American right; or 2) because they wanted to line their pockets. That all changed in the 1980's. After attempts to evangelize America in the 1970's were an abysmal failure, Moon pretty much figured that his messianic vision didn't play in Peoria (or anywhere else in the United States) so he kept a low profile and dumped a few billion dollars into a right-wing media empire. Apparently, Dole knew which way the wind was blowing because he let bygones be bygones and lent Moon credibility by appearing at the Messiah's "Tear Down the Cross" Washington prayer breakfast in 2003. Narrator: Besides paying for his own media, Moon sought to influence legitimate press outlets. One vehicle was the World Media Association. [Moon's right hand man Bo Hi Pak]: " And the founder is Reverend Moon, who is deeply concerned for the world media, particularly in the battle against communism all over the world; who sees that the role of the media is so vital and so important for the salvation of our civilization." Narrator: The World Media Association sponsors all-expense-paid conferences and junkets for journalists all over the world. As Bo Hi Pak told public station KQED in 1984, the Unification Movement used the association as a weapon for a larger crusade. Pak: "But is a total war. Basically war of ideas. War of mind, the battlefield is the human mind. This is where the battle is fought. So in this war the entire thing will be mobilized, political means, social means, economical means and propagandistic means, and basically trying to take over the other person's mind. That is what the third world war is all about--the war of ideology." The upshot is that the Moonies received journalistic legitimacy by becoming part of the media and by transferring vast amounts of money to the media elite through Moonie front groups. 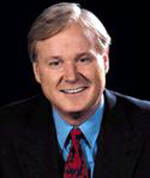 One of those corrupted by this easy Moonie money was Chris Matthews. To Matthews’ credit, when the Moon-owned Washington Times was established in 1982, Matthews--who was then the assistant to then-Speaker Tip O'Neil--refused to grant the Times any legitimacy by not credentialing their operatives (reporters). Matthews quipped at the time, "We work hard enough responding to legitimate press inquires" It was a principled move. To Matthews' discredit, when he had the chance to pocket Moonie money by according the Moonie media apparatus undeserved legitimacy, Matthews took the money. Fast forward to 1989 (after Matthews left government service and was Washington Bureau Chief of the San Francisco Examiner). The Unification Church paid Matthews $2500 to speak at a conference for the Moonie front group, the World Media Association. Mathews' descent into media whoredom is recounted by James Whelan, the former editor of the Washington Times (who resigned as editor of the Times in 1984 after Moon reneged on his promise not to impose his sectarian agenda on the Times) at a conference that addressed cults and the media (click here and watch 57:35 to 1:00:25 for Whelan’s take on Matthews). To show how Matthews did a complete 180 regarding the Moonie media, the Washington Times--the rag that Matthews had previously dismissed as pseudo-journalism--began running Matthew’s syndicated column in the 1990's. Matthews was a consummate media whore by the time he met up with Jack Welch. They (the Moonies) are subverting our political system. They're doing it through front organizations--most of them disguised--and through their funding of independent organizations--through the placement of volunteers in the inner sanctums of hard-pressed organizations. In every instance--in every instance--those who attend their conferences, those who accept their money or their volunteers, delude themselves that there is no loss of virtue because the Moonies have not proselytized. That misses the central, crucial point: the Moonies are a political movement in religious clothing. Moon seeks power, not the salvation of souls. To achieve that, he needs religious fanatics as his palace guard and shock troops. But more importantly, he needs secular conscripts--seduced by money, free trips, free services, seemingly endless bounty and booty--in order to give him respectability and, with it, that image of influence which translates as power. Tomorrow: How making nice with the Moonie media was an unmitigated disaster for Hillary Clinton.